Has your pet ingested a rodenticide? All rodenticides are potentially toxic to any mammal, not just the species targeted by the rodenticide use. Any animals that were not the target of the rodenticide but ingest rodenticides need immediate emergency care. It takes very little of any of these products to harm or kill pets; thus, immediate action is needed if ANY amount of a rodenticide is ingested or suspected to have been ingested. 1. Stay calm and immediately contact your veterinarian, emergency veterinary clinic, the ASPCA Animal Poison Control Center (1-888-426-4435), or the Pet Poison Helpline (800-213-6680). 2. Tell the veterinary team all you know about the product, including the product’s name, active ingredient, and EPA registration number. All of this is on the product’s label and is essential because the brand name alone is often not enough for personnel to identify the active ingredient. In addition, they will likely ask you questions about the animal (species, weight, etc. ), the potential quantity of rodenticide ingested, and how long ago the pet ingested it. 3. You may be instructed to make your pet vomit. If so, follow the instructions given. If you are instructed to take your pet outside to vomit, do so because some rodenticides contain zinc phosphide, which is converted in the pet’s stomach to phosphine gas, which can be toxic to you. 4. If your pet vomits indoors and had ingested a zinc phosphide rodenticide, or if the vomit smells strongly of garlic, evacuate the area and call 911 because the phosphine gas in the vomit is also dangerous for humans. Phosphine gas smells strongly of garlic. It may cause headache, nausea, stomach pain, diarrhea, vomiting, difficulty breathing, chest pain, dizziness, staggering, and even death. If people around the animal or its vomit experience any questionable symptoms, they should seek medical attention immediately. 5. Take your pet to the veterinarian immediately. If at all possible, take the packaging of the rodenticide (safely wrapped to prevent further exposure) with you to your veterinarian or have a family member or friend find the packaging and join you with it at your veterinarian’s facility. How can you know that you have a rodent problem? Trust your senses as well as those of your animals. Some cats or dogs might display predatory behaviors or may appear to be interested by noises that you may not even hear. 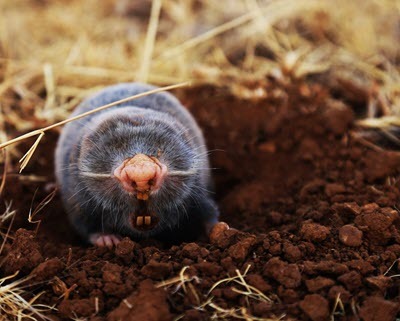 A dog or cat digging or repeatedly ‘stalking’ a certain area may be detecting rodents. Horses that refuse their food or water might be ill, or might be reacting to the presence of a rodent or rodent droppings or urine. What are your options for controlling rodent populations? Read and follow the labels! Deviating from pesticide labels is illegal and dangerous. When using rodenticides, you have the responsibility to ensure the products are used and stored according to label instructions, including all safety precautions. Rodenticide labels require the use of a bait station if the product is used in or around households where children or pets are present. Always store and use rodent baits and other potentially toxic products out of reach of children and animals. Rodenticides are pesticides, specifically designed to kill small mammals, and when used appropriately they are generally consumed by and kill rodents. These products are also dangerous and potentially deadly to people and other animals that consume them. The flavored baits (e.g. 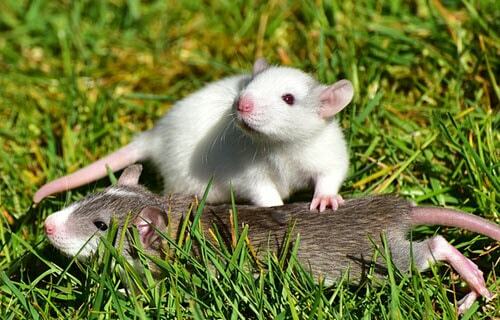 fish oil, molasses, or peanut butter) used with rodenticides are attractive to more than just mice and rats. Humans, dogs, cats, raccoons, squirrels, skunks, and deer are a few examples of species that have been poisoned by eating rodenticides. In addition, predators and scavengers, which eat rodents – dead or alive – that have consumed a rodenticide, may be poisoned secondarily by any rodenticide that is still in their meals’ tissues. Bait stations are the containers that hold the flavored bait that has the rodenticide in it. These containers are divided into four groups or “tiers” based upon their degree of tamper-resistance and weather-resistance. Bait station products in tiers I – III are expected to prevent children’s access to bait, and tiers I and II are dog-resistant. Dog resistant does not mean dog proof. Read and follow the product’s label. The EPA provides information on Choosing a Bait Station for Household Use, and below are the various tiers into which bait stations are classified. Make sure you use the right one for your situation. These bait stations are resistant to weather and to tampering by children and dogs. To be used indoors and outdoors (within 50 feet of buildings, defined as structures that possess walls and a roof). These bait stations are resistant to tampering by children and dogs. To be used indoors only. These bait stations are resistant to tampering by children. To be used indoors only. To be used indoors only and only in areas inaccessible to children and pets. Thinking like a rodent can help you consider effective prevention. By looking at your property from the perspective of a small furry animal that needs shelter to hide from its predators, comfy places to sleep or raise young, and an adequate supply of munchies to eat, you can better zero in on some of the possible key points of intervention. 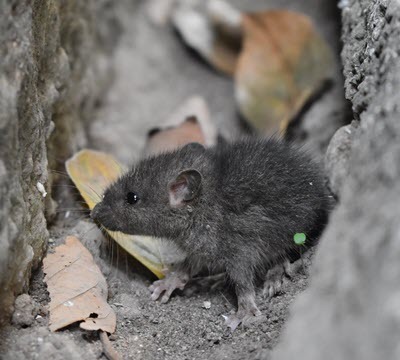 Without habitat modification to make areas less attractive to rodents, even the use of rodenticides will not prevent new populations from recolonizing the area. Try to look at things from a rodent’s perspective and then make its environment less hospitable. Prevent rodent access to the places and food sources it likes. If you are not sure about the kind of rodent or its habitat preferences, your local Cooperative Extension Office or state wildlife management agency may be able to help. Be aware that rodents can fit through gaps and holes no bigger than the diameter of a pencil. Be diligent about filling or blocking even these very small access points. If food is in a container or bin, securely replace the lid immediately after every time that you access it. Do not store pet food or other animal feed in unprotected bags where rodents can access them. If food is openly stored in a room and cannot be stored in bins or containers, check the entire room from the inside and the outside for rodent access points. Monitor foods and feeds for rodents or signs of them, such as droppings, nest material, or gnaw marks. If you find any of this, stop feeding from the contaminated source. While the decision to discard the food is fairly simple when dealing with a bag of pet food or a few bags of mixed feed for livestock, the decision is more complicated if it involves larger volumes such as an entire wagon or truck load of feed. Your veterinarian and Cooperative Extension Office may be able to provide additional guidance. Routine cleaning will eliminate potential food and nesting resources for rodents, serve as a means for you to monitor the success or failure of your rodent control program, and reduce potential pathogens that may have been left on surfaces by rodents. Use the appropriate amount of personal protective equipment (PPE) (e.g., gloves, face mask or respirator) for the particular cleaning situation. Contact your local public health authorities or visit the U.S. Center for Disease Control and Prevention (CDC) page, ”Cleaning Up After Rodents,” for guidance specific to your circumstances. If rodenticides are used, be sure to follow label directions regarding clean-up and properly dispose of rodent carcasses to better ensure your safety as well as the safety of your family and animals. Baits laced with rodent contraceptives are under development and may soon be available to the public. These baits reportedly have reduced rodent populations by up to 40% in trials. While not 100% effective (no single method of rodent control is), it may prove to be a much safer and more humane method of controlling rodent populations. FCVC knows that in eliminating rodents rodenticides may be necessary, but please use them with all due caution. As always we want your family and pets to be safe. Remember – rodenticides can be lethal to your pets.